Here’s what’s happening in the world of television for Tuesday, September 18. All times are Eastern. 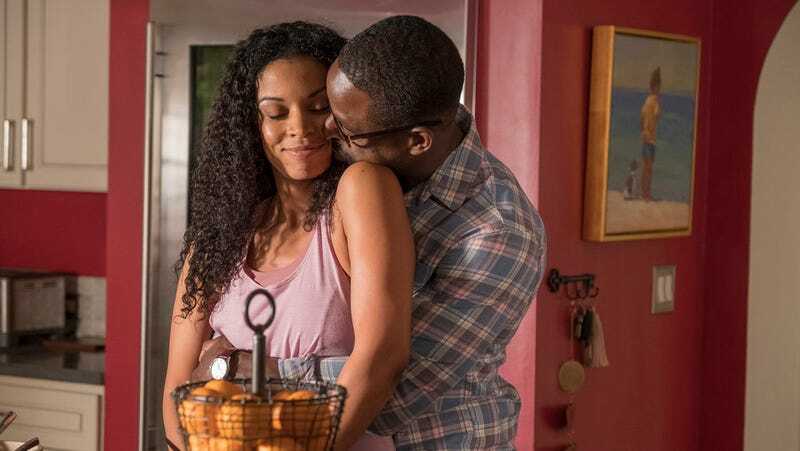 This Is Us (NBC, 9 p.m.): Here come the Pearsons! They are many and they are good-looking. They like traditions and avoidance and crying and laughing about crying. Two of them just got married. Two of them are singers. One of them knows Ron Howard! One of them died in a fire! One of them is mysteriously sad about something in the future, and the mysterious something is probably a dead or sick person! They’re the Pearsons. Sad mysteries are kind of their thing. This season’s sad mysteries abandon the lethal Crock-Pots and traumatic Super Bowls in favor of the Vietnam War, Randall and Tess’ ominous future, Kevin’s Ron Howard movie, and Toby’s struggles with mental health. New series regulars Lyric Ross (Deja) and Melanie Liburd (Zoe) will probably also contribute to the sad, mysterious milieu. They are the Pearsons, and they are here to make you cry. Caroline Siede will once again help you to process all those feelings, and if there’s one guarantee with those Pearsons, it’s feelings. Mr. Inbetween (FX, 11:25 p.m.): FX’s half-hour drama, created by and starring Scott Ryan, centers on Ray Shoesmith, a man juggling the roles of father, boyfriend, ex-husband, friend, and professional criminal-for-hire as he tries to have it all in this newfangled modern world of ours. The first two episodes of the six-episode first season air tonight; all six episodes were directed by Nash Edgerton (Gringo).